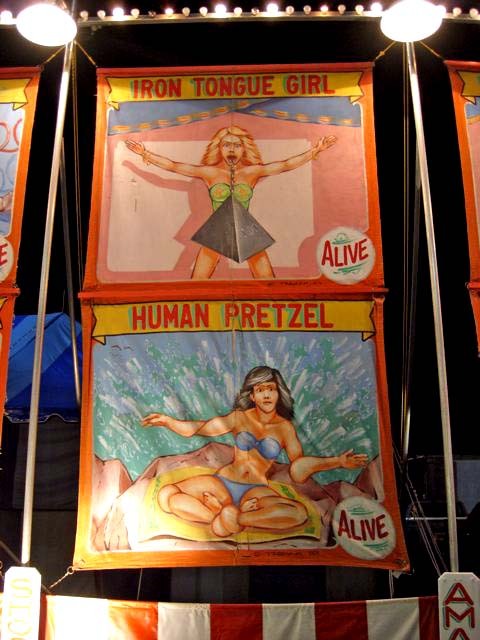 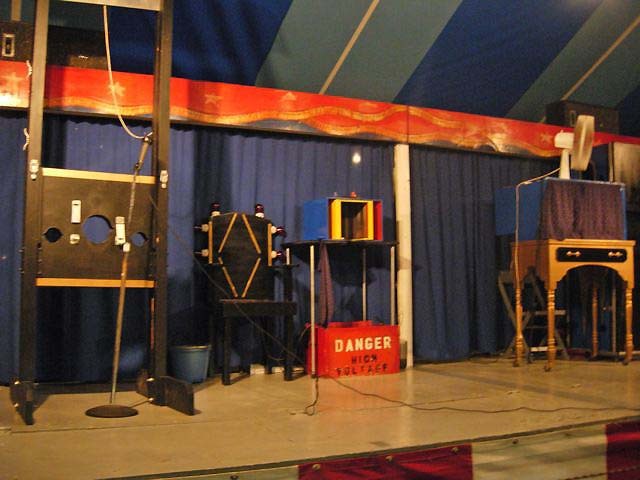 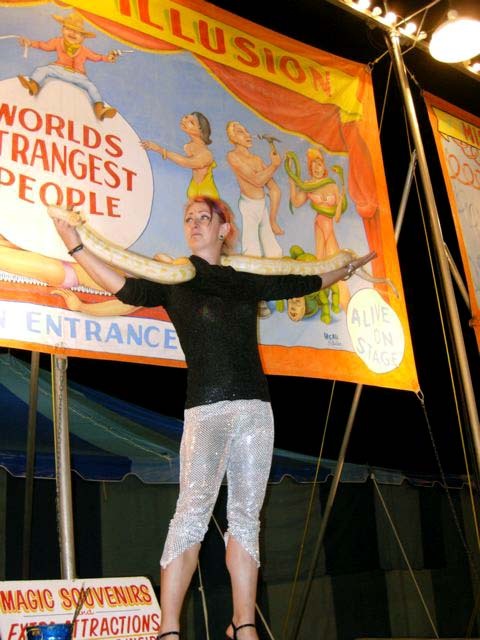 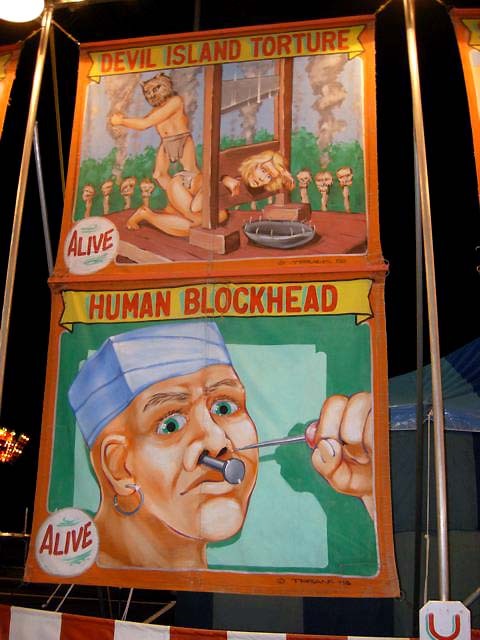 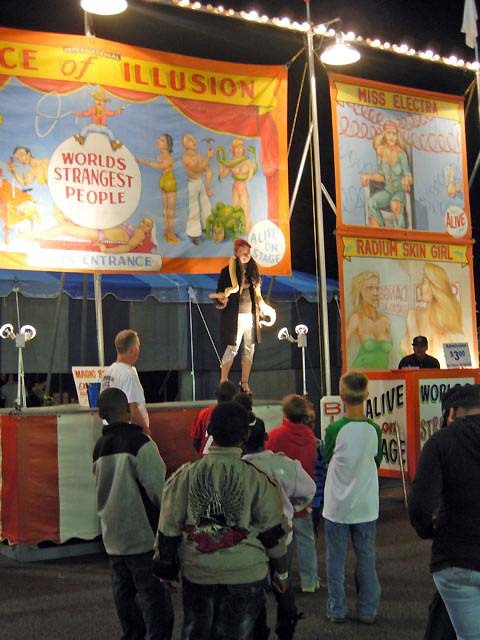 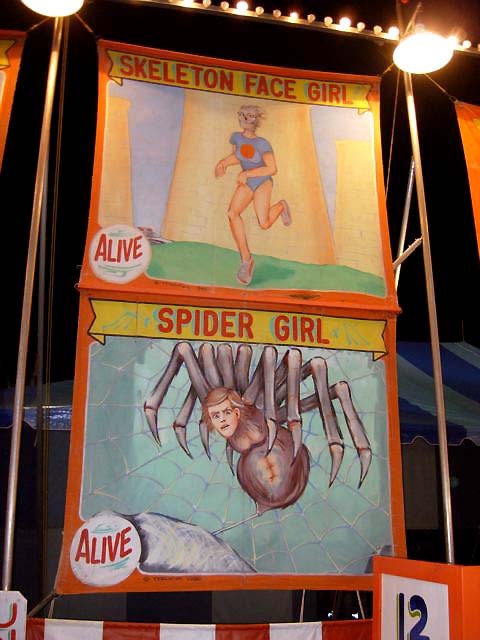 This the the Palace of Illusion sideshow at the 2010 Virginia State Fair. 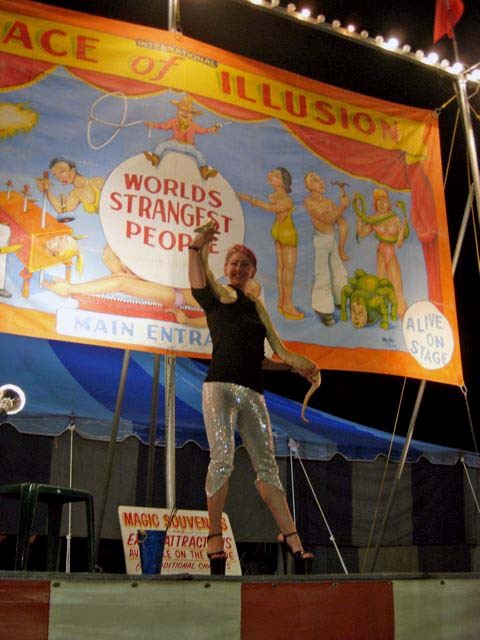 This type of show is known as a 10 in 1 because you saw 10 acts for the price of 1 admission. 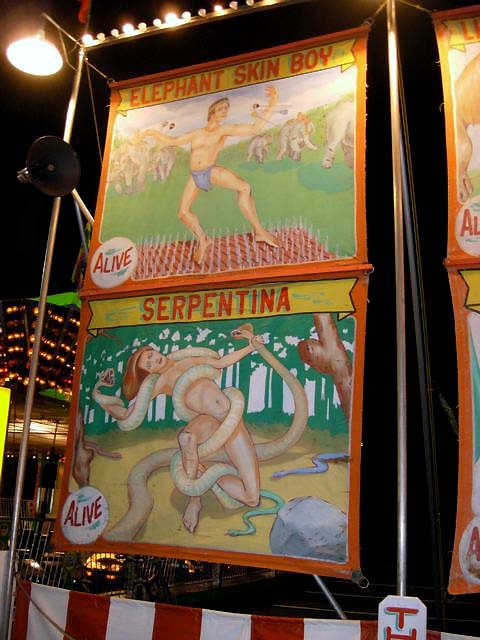 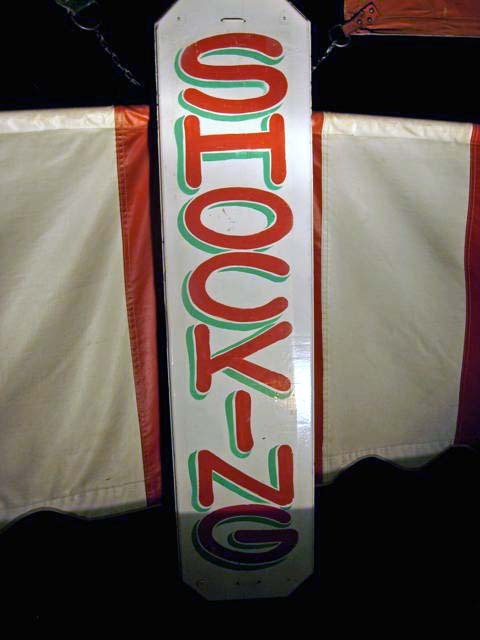 This show also featured a blow off added attraction. 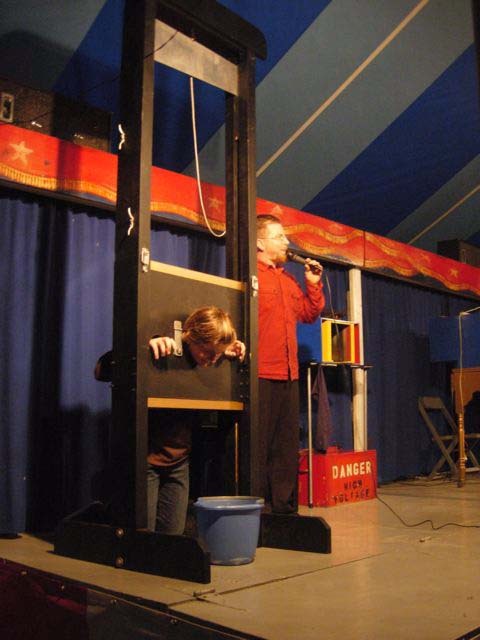 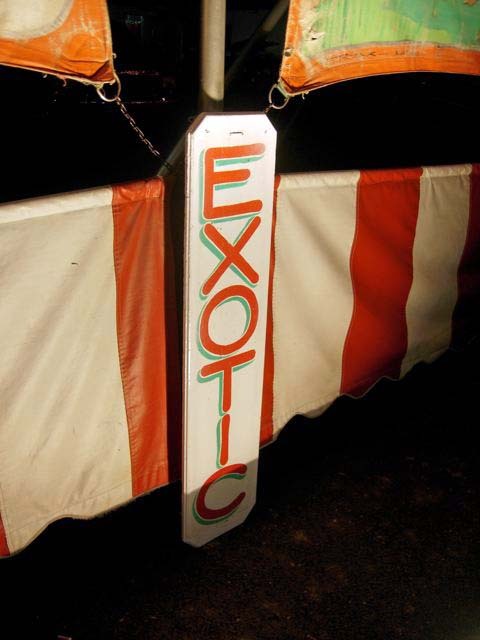 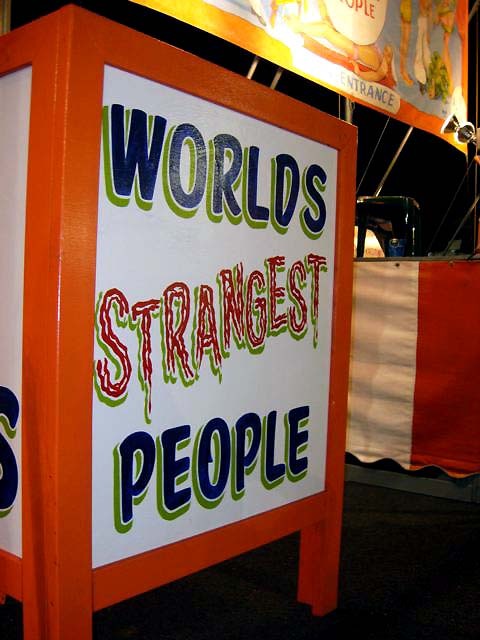 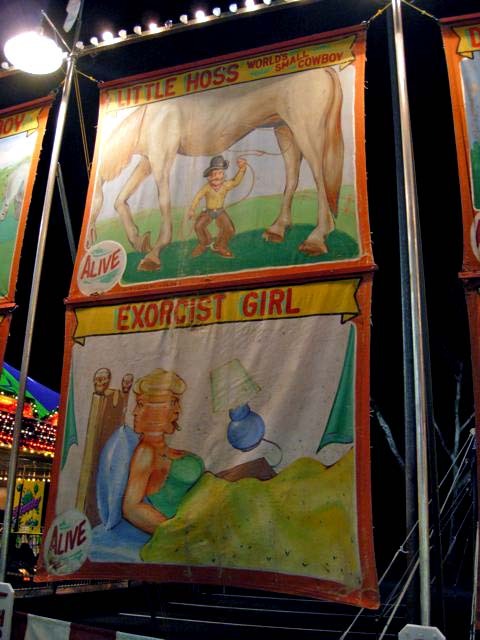 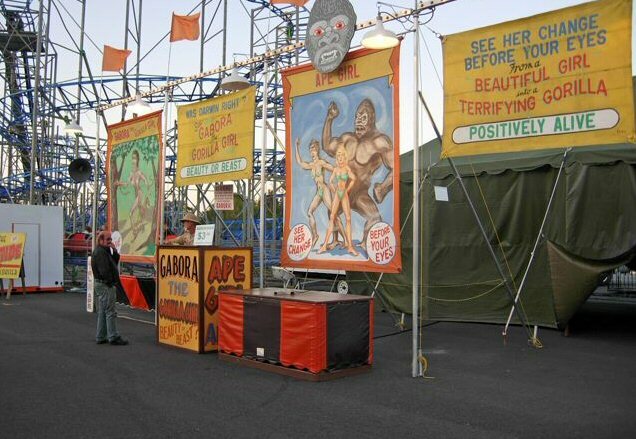 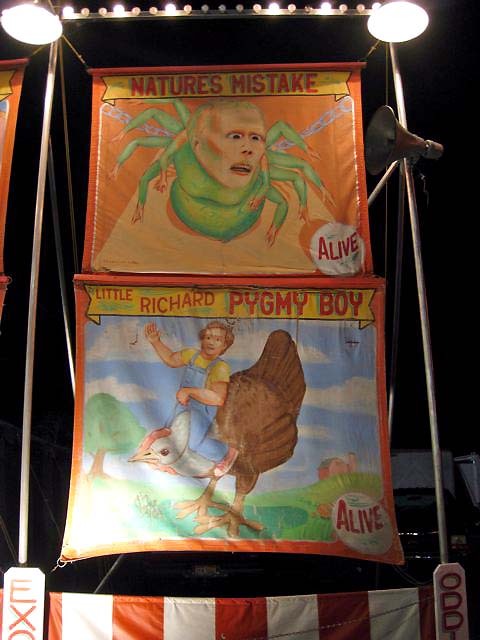 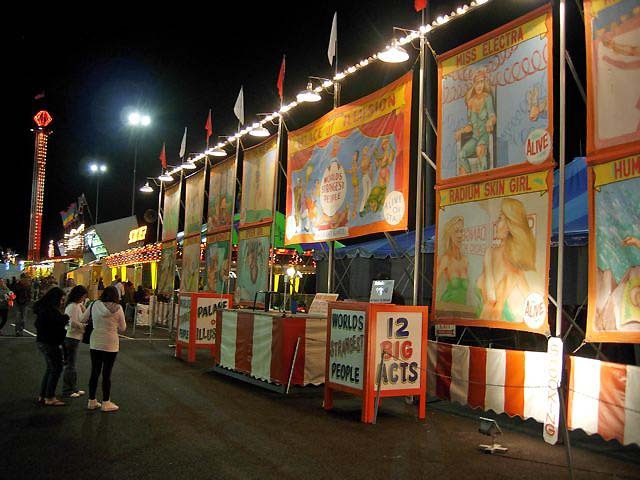 There are only a handful of sideshows still traveling the carnival circuit. 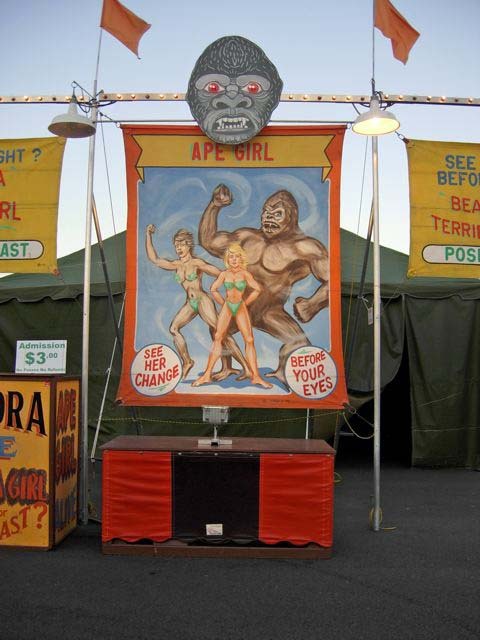 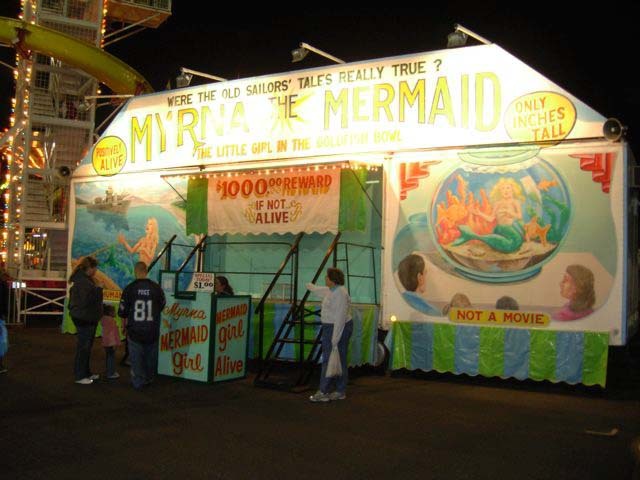 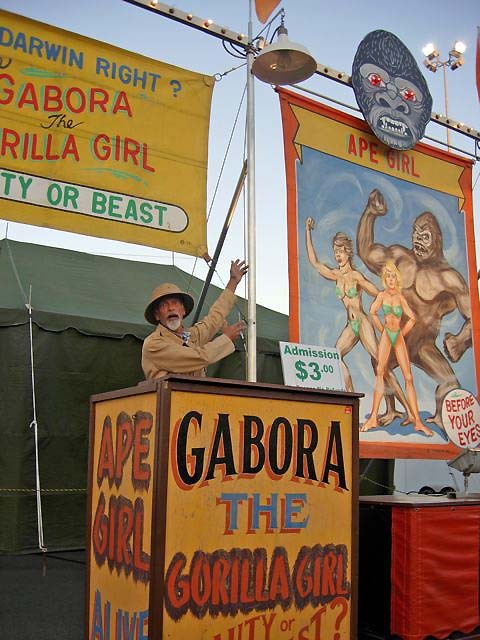 Tim had his 10 in 1, mermaid and gorilla girl shows at the 2010 Virginia State Fair. 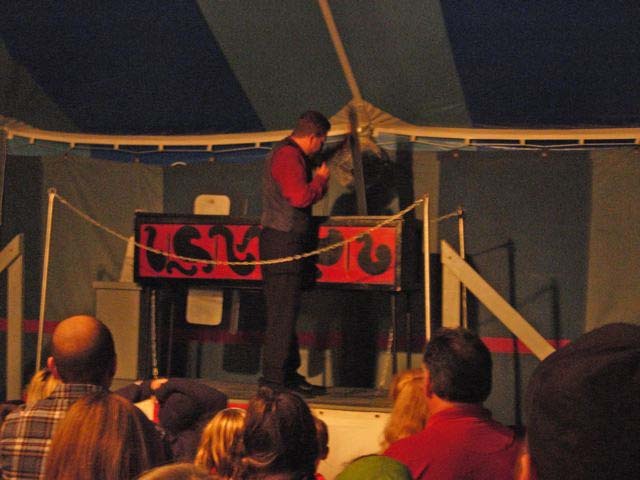 He had the only shows, at the fair this season. 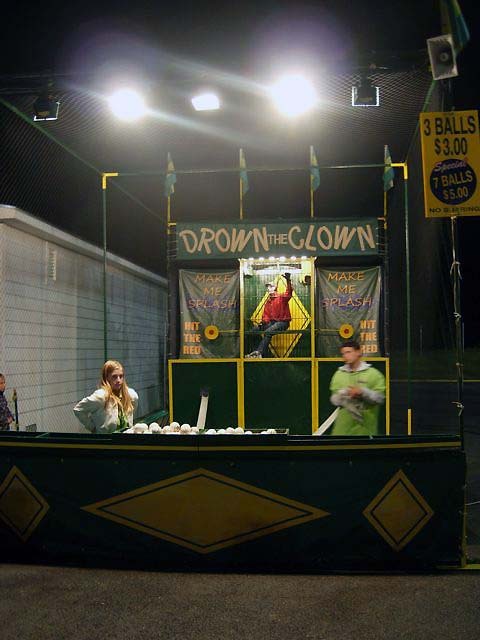 Tim is in the first picture talking on his phone he's in the black shirt.